I’ve been out of Canadian equities for a fair bit of time mainly because I just didn’t see anything worth investing in. Most stocks were trading at a pretty healthy valuation. With the markets tanking especially Canadian stocks, I thought the time had come to start building back up my exposure to Canadian stocks. I’ve been adding a few companies here and there like Winpak and Nutrien but nothing in terms of a broad allocation to Canadian stocks. There are still many clouds on the horizon for the Canadian economy. The housing market is firmly in slow-down mode. Oil prices are going to extract some significant pain and drag. Interest rates have gone up but could pause if the slowdown takes shape. The sentiment around Canadian stocks is not very good right now. When I factored all these elements, it seems like it would be a decent time to start slowly building up a position. I’ve owned the Vanguard All Cap Canada ETF in the past because I thought it had more diverse basket of small and large Canadian companies. It still has a bank and commodities focus, make no mistake about it. The cost is still quite low and it is a very liquid trading ETF. VCN was trading very near its 52 week low and was down almost 8 percent when I started looking at it. I bought a small amount at $30.00. There could be more pain for Canadian stocks and so I plan to buy a little bit more at a time to build up the position. For regular readers, listeners, and viewers to my blogs, videos, and podcast, you’ll know that I really haven’t dived much into owning financial stocks. I think a big reason goes back to my early days as a finance student and investor when I was learning this stuff. I learned that the accounting for financial institutions is very different and in a way quite murkier than traditional industrial based businesses. It’s quite hard to evaluate them and so I often stayed away. In fact the last time I owned a financial stock was in 2008 when I owned…Goldman! In that time the price swings on financial companies was ridiculous. I remember buying Goldman for $100 and selling it a few days later for $128. Financial stocks don’t move like that. As I perused the screens, financial stocks have been getting trounced. Not at the same level of 2008 but they are hurting, so I thought it would be a good time to pick some really high quality companies and JP Morgan and Goldman are right there at the top. 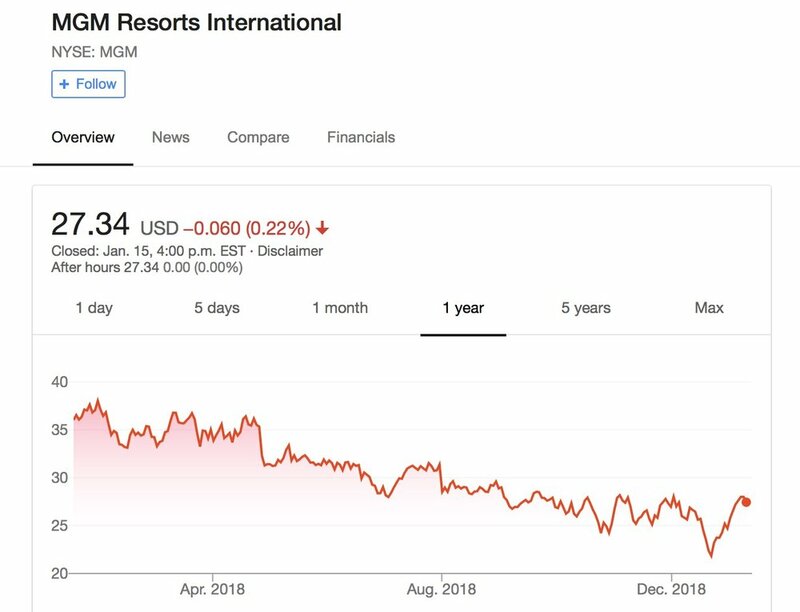 Their stocks have been down 9 and 35 percent respectively in 2018. Goldman is really getting dinged because of their linkage with the Malaysian Fund which was missing billions in their account and Goldman has been implicated by the Malaysian government. There could be some truth there, but eventually will cut a “cost of doing business” cheque with the Government , which they can take out of their Petty Cash fund and move on. Oil prices continued to collapse. At one point it was trading at $46/barrel. As a result oil stocks continued to get pummelled. In a previous post and video, I shared my thoughts about getting into an oil and gas ETF, but after reviewing a few and given that the ETF’s are highly concentrated in a hand full of stocks I thought it would be better to own the individual stock themselves. One of those core stocks was Exxon Mobil. It is the largest oil company in the world and one the most profitable companies in the world. It is also a very out of favour stock as the share price has fallen to the low$70’s. During market downturns, high quality businesses go on sale. I think Exxon is a best of breed oil company and it’s trading at a discount. Models I’ve seen have the stock valued at the $100 range so there is more upside to the stock now. I decided this may be a good point to start building a small position. I have no idea where oil prices are heading. They may go further down and if they do, I’ll continue to slowly buy more shares. Right now the dynamic of a high US dollar and higher interest rates has put pressure on commodities. If the Federal Reserve holds off on further interest rate increases, then it could cause commodities including oil to stabilize or track higher. Update: Shortly after buying into Exxon I decided to sell the shares. During the month the Federal Reserve decided to raise interest rates and signalled they will likely raise rates a few times in 2019. What I thought was that if rates continue to track up then the US dollar will remain high. Historically a high US$ has an inverse effect on commodity prices like oil. So if this is the case (and it is not a perfect relationship) then oil prices could possible track down lower and stocks like Exxon could continue to fall. So I decided it didn’t makes sense to own any oil stocks as long as this dynamic was in place. That being said at some point in the future the narrative is going to change and interest rates will probably plateau and even fall if economic growth slows down. At that point, I may jump back in. I ended losing about $40 on the decision. Update (March 22 2019): Sold my Tiffany shares for 18% and 16% returns (net Forex). Stock moved pretty fast since I bought in. Even though the company reported flat sales, Tiffany is still generating strong margins and very healthy cash flows. It’s still a best of breed luxury stock and I would buy back again if prices fell. I was disappointed to have to sell JNJ. The reality is news came out that it appears to have knowingly hid that its baby powder had asbestos for decades. For me this was a negative game changer moment for the company. Company will ride past this problem, but it will take time and the stock will languish. I decided I would rather get out now and wait for the powder to settle. I think the company has a credibility issue now. With the angst in the market, I thought it wouldn't surprise me to see it track lower. 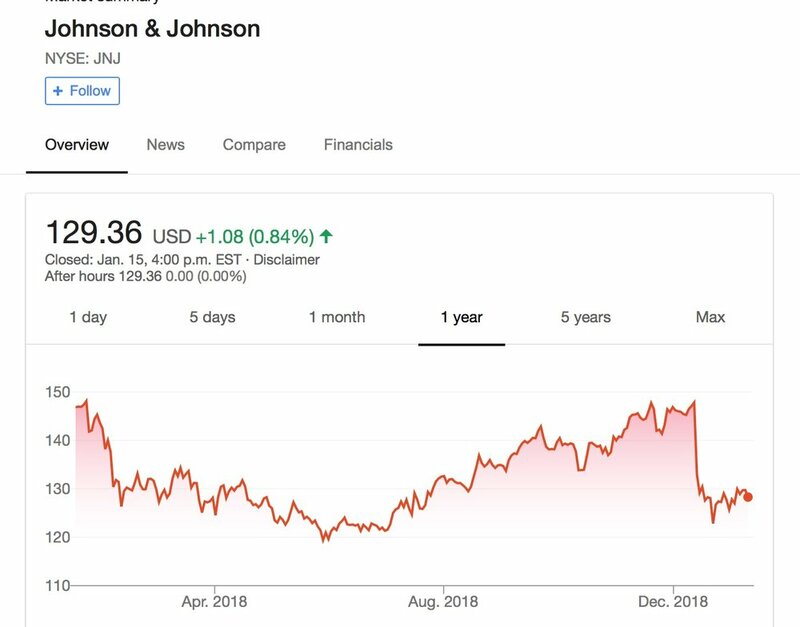 JNJ was a core holding in that it represented broad exposure to health care sector which I would like to have continuous exposure. The stocks was having a nice run. Even with the pullback, I still was up on the position so decided to bank the profit. Would I go back in? Yes if these issues get addressed. Probably would go in at a lower price point. It's too bad but we have to stay focussed and consistent with the investing playbook. Can't make it personal. Turn the page and move on. The stock continued to get beaten down and then crossed down into the low $20’s. I bought some more shares but I ended up selling the whole position. I was down 20 percent which was at my loss position so at that point I decided to follow my playbook and sell to cap the loss and move on. 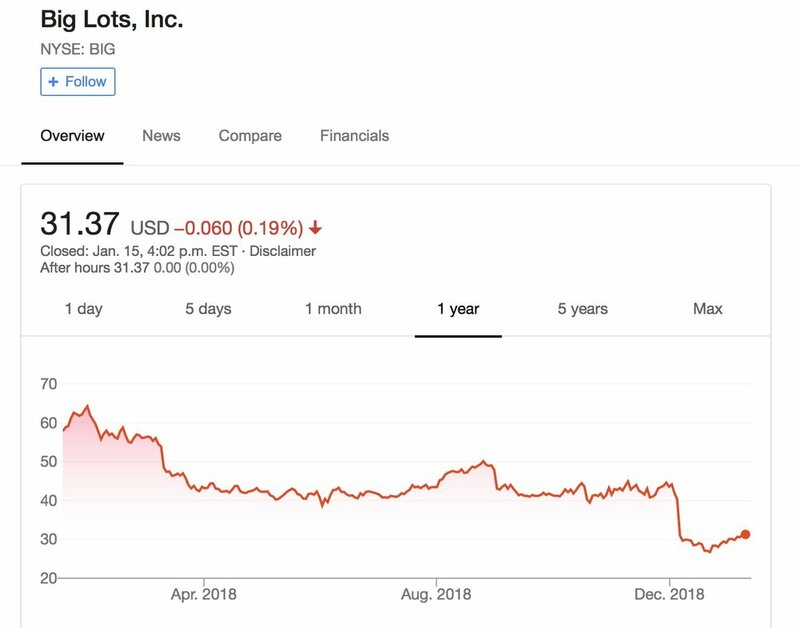 I like the business and I think there is upside to the stock, especially if the economy does slow down, discount retailers like Big Lots will benefit, however it would be difficult for my position to generate a positive return from the current level. So I sold and I will keep an eye on it for a possible re-entry at a lower price point. Again applying my playbook. The stock had crossed my loss position of 20 percent and as per my playbook, I made the decision to sell the shares. Again, I like the business and I think the long-term prospects are quite positive especially as sports betting gets more embedded in their gaming offerings. The reality is being down 21 percent means I need the stock to go just over 25 percent just to get my money back. So I’d rather book the loss and move on and perhaps jump back in at a lower price point. Sure enough the stock dropped even further down the $23 level.